Found 13 file extension associations related to BobCAD-CAM Mill and 2 file formats developed specifically for use with BobCAD-CAM Mill. 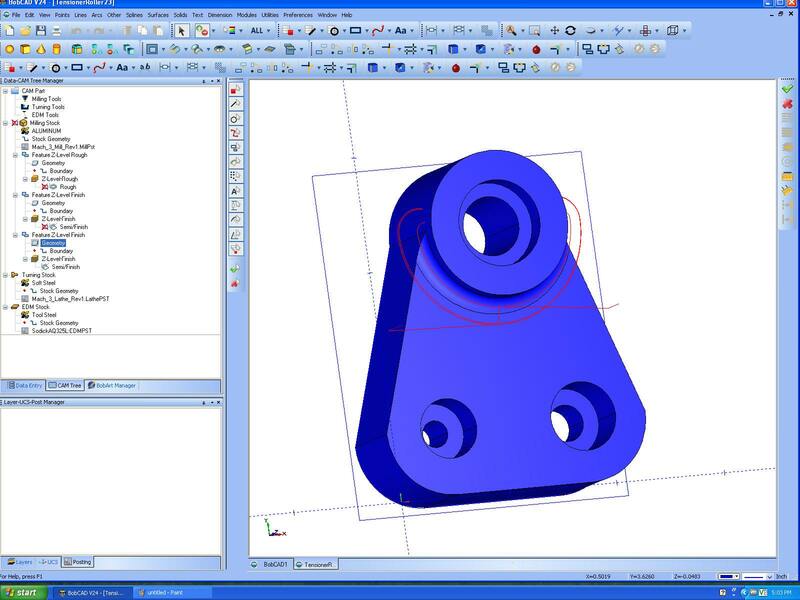 Developer / company: BobCAD-CAM Inc.
CAD-CAM software for CNC Milling brings you the widest range of 2D & 3D design and machining technology for the cost in the industry. Designed for use by the beginner while giving you advanced machining strategies for creating complex machine toolpath is a V23 reality and is available for shops small and large everywhere! From external file import capabilities and a full set of geometry editing and design features through to customiazable hole making features, 2.5 axis toolpath strategies to advanced 3 axis and 4th axis capabilities, this cad-cam product keeps the machining process organized and simple all the time and in every situation you will face. If you need more information please contact the developers of BobCAD-CAM Mill (BobCAD-CAM Inc.), or check out their product website.